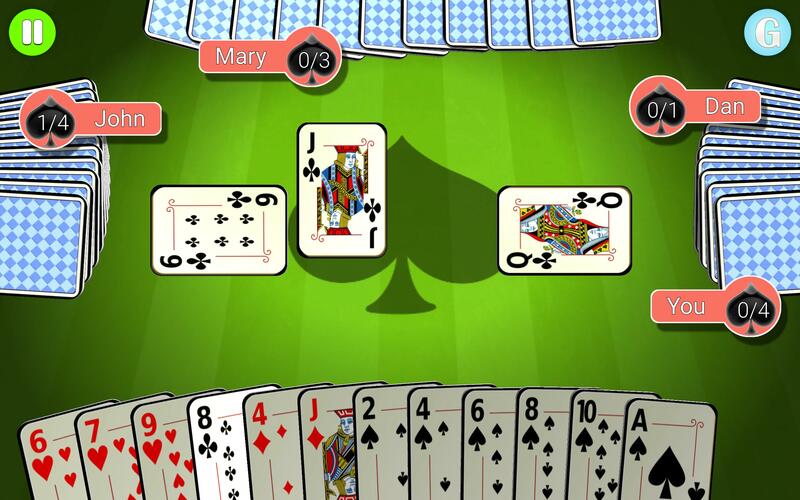 A classic card game of Spades with a modern look! 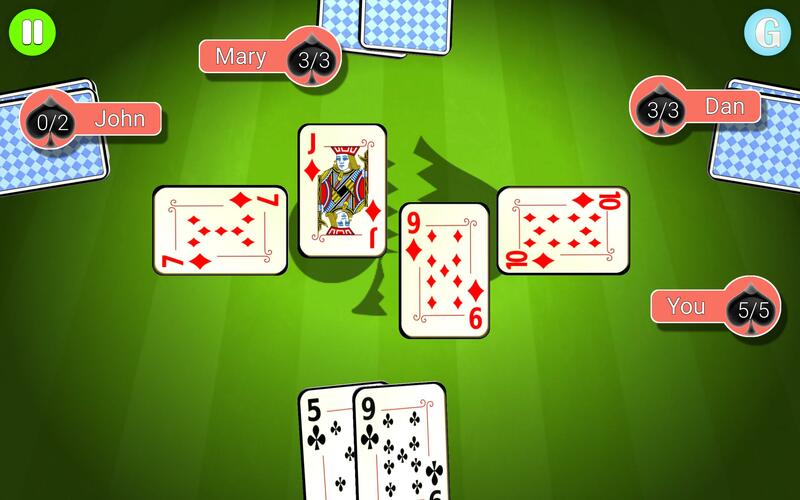 Play a very fun card game of Spades - a 52-card trick-taking game that is most similar to Hearts. 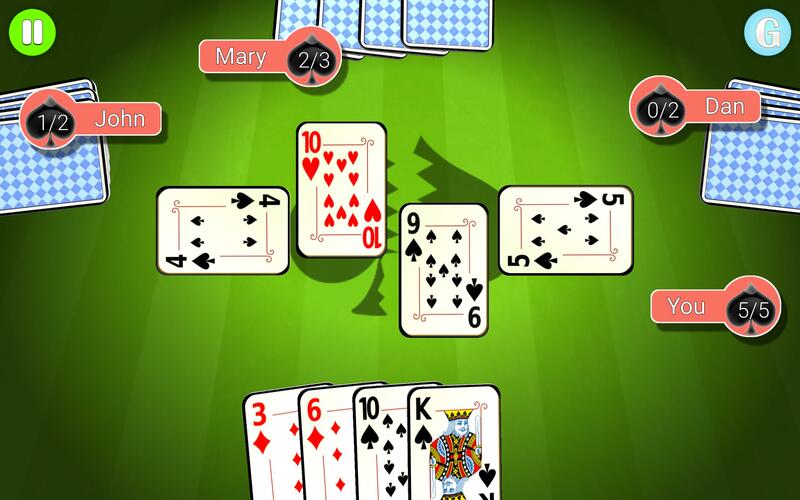 The goal of the game is to take at least the number of tricks that were bid before each hand. The game is played in teams and spades are the trump. 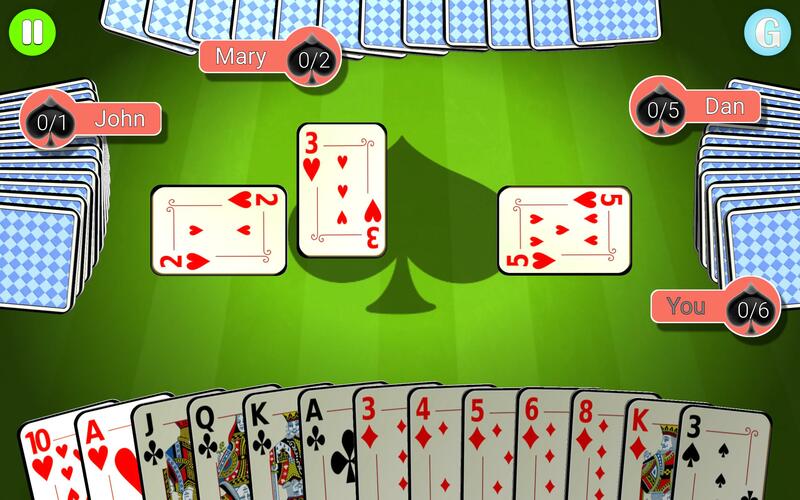 Your partner sits in front of you and the deals are played clockwise. If you and your partner win as many tricks as the bid you made together, your team gains 10 points for each trick. If your team wins fewer tricks than the bid, you lose 10 points for each bid trick. 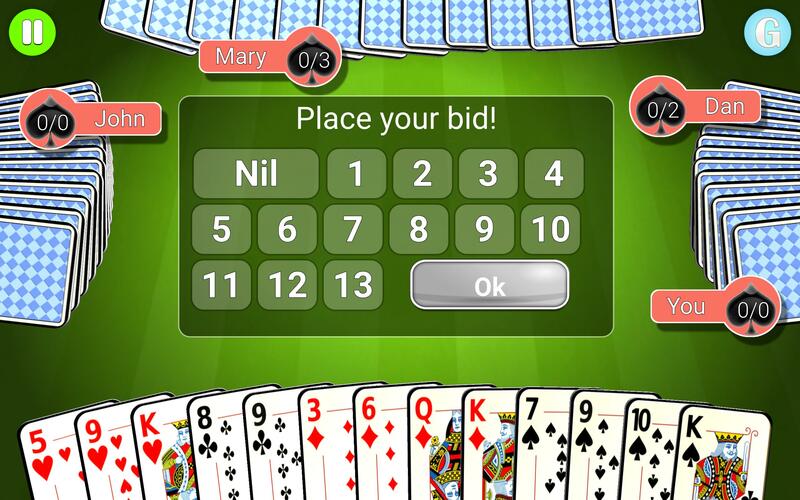 A bid of 0 tricks is known as Nil. If you bid Nil and you will not win any tricks, you will get an extra bonus if you succeed and a penalty if you fail. If you can, you must follow suit. Otherwise you may play any card. 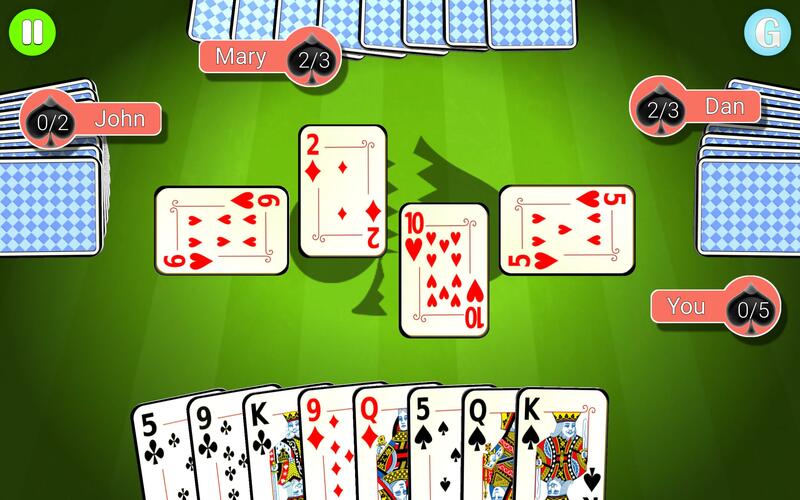 If no spade is played, the trick is won by the highest card of the suit led. 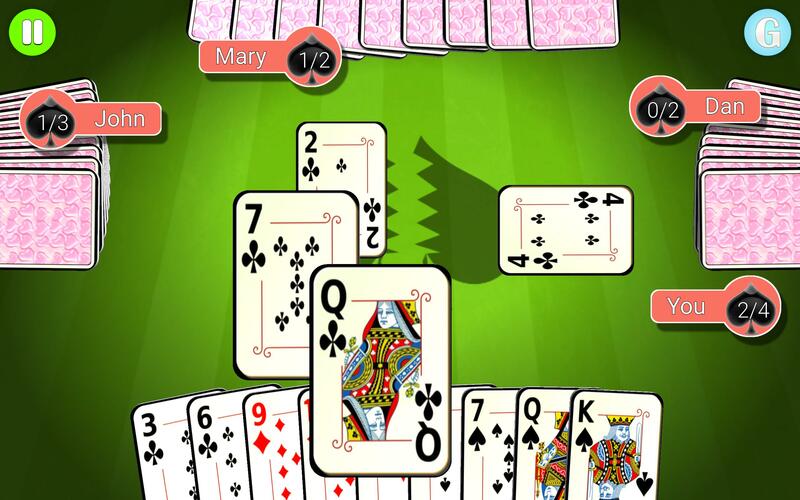 If the trick contains a spade, the trick is won by the highest spade played. The winner of each trick leads to the next. 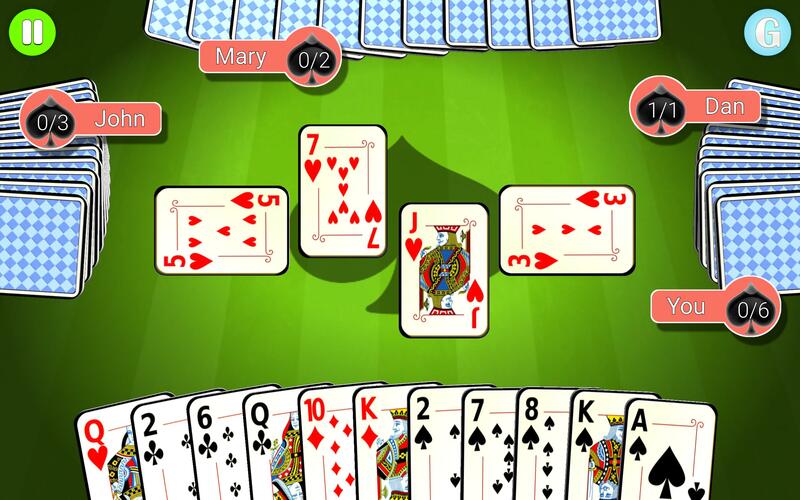 Spades may not be led until some player has played a spade, or the leader has nothing but spades left in hand. 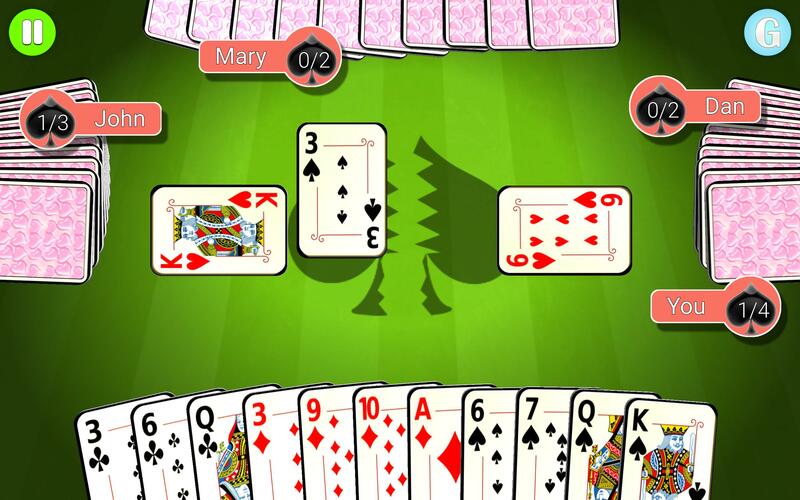 Playing the first spade is known as "breaking" spades. 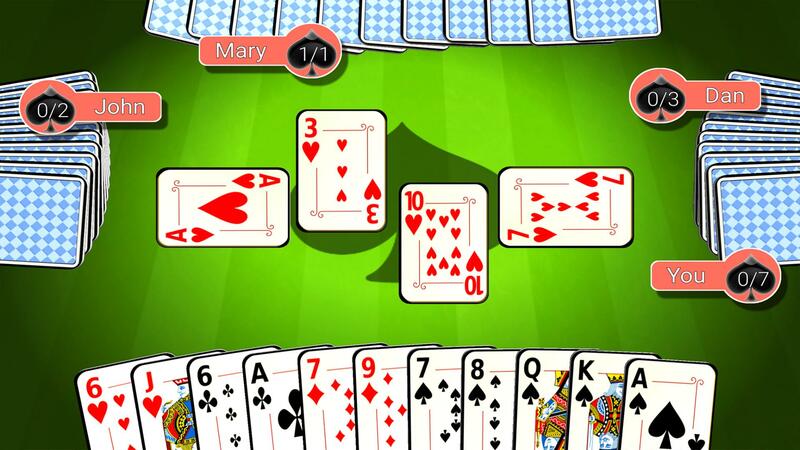 - Free and Easy to play: Just tap the cards you want to play.